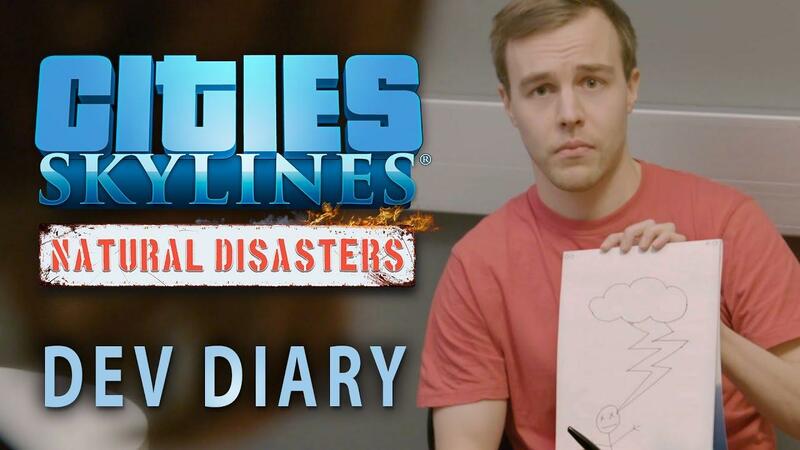 Cities: Skylines - Natural Disasters [Steam, Official Site] is shaping up to be a lot more interesting than I thought it would be! It is going to be released on November 29th and they have put out a new video. The new expansion will add a bunch of disasters to deal with including: tornadoes, earthquakes, tsunamis, forest fires, meteor strikes, and more. It should spice the game up quite nicely. It seems like there's actually a lot more depth to the DLC than I originally thought! The DLC will be priced at $14.99. I wonder how hard it would be to mod in a zombie outbreak? lucifertdark I wonder how hard it would be to mod in a zombie outbreak? I really want to see someone create a mod for that! Looks like I will be getting early access to cover it, so expect a livestream before release. I played city builders since the days of the original SimCity, but I always play with disasters disabled. It's no fun building a great town just to have it partially destroyed every other hour. It feels like the little brother storming into your room and accidentally trashing your Lego castle. Yeah, it's realistic. But fun it is not. But I suppose this was the last feature that EA pile of garbage still had going for it over Cities Skylines, so I can understand why they added it. I'd rather get a proper dynamic seasons model down the road. That all being said, I will buy the DLC anyway, just to support this great game. Kimyrielle I played city builders since the days of the original SimCity, but I always play with disasters disabled. It's no fun building a great town just to have it partially destroyed every other hour. It feels like the little brother storming into your room and accidentally trashing your Lego castle. Yeah, it's realistic. But fun it is not. I got big drops on an empty map. Something is clearly hitting this game's FPS hard and I hope they fix it eventually.